Interesting factoid about the US and maybe an explanation why sometimes people here come across as, well, somewhat ignorant when it comes to the rest of the world. The statistics I am citing is not uncontested, if you search you will find a different data, although likely not dramatically so. The important point , however, is not whether a particular number is 10% or 15% but that it is not, like 85%. Anyway, I am talking about passport ownership which correlates strongly (if not perfectly) with travel abroad which – at least in the opinion of this travel-obsessed expat – equals a deeper understanding and sympathy for different cultures and different ways of doing things. 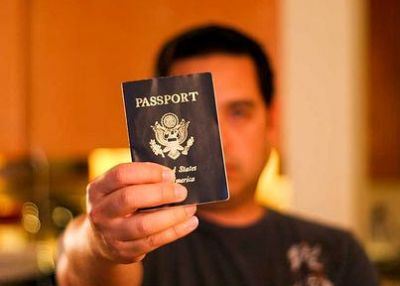 So the number of Americans owning a passport seems to be somewhere between 10 and 25%. Which means that 3/4 of the American population never even set foot into Mexico or Canada, let alone Laos or Namibia. The only number I could find for Europeans were Brits, and there the number of passport holders seems to be in the low 70%. A more interesting question as the actual percentage is the question why the percentage is so low. The US is a big country and so it is easier not to leave it than, say, not to leave Switzerland ever but still – wouldn’t one think that at some point people would want to see what’s out there? Cost of travel gets mentioned a lot but to me that is a smoke-screen. If someone can afford a F-150 truck they can afford a vacation in Mexico. Some point out that Americans don’t have an “imperial history” and therefore, unlike for example the Brits, they are, as a people historically speaking, not used to travel. I tend to discard such arguments because, as a people, historically speaking the Americans are also not used to owning over-sized flat screen TVs – and still everybody has one now. Maybe that is simplistic but on some level valid nevertheless. There might not be much interest in the rest of the world. The news, if one can call them that, certainly do nothing to encourage taking an interest in foreign countries. Unless there is a major catastrophe (tsunamis, terrorist attacks, earthquakes and plan crashes come to mind), or some exciting human interest story (people caught in collapsed mine behaving valiantly) the rest of the world barely gets mentioned. The impression most Americans get from watching the news is that certain death is looming abroad. Still, one would hope that the people of the sole remaining self-nominated superpower take a bit more interest in the rest of the world – which, by the way certainly does not see itself as the rest of the world or the non-US territory.